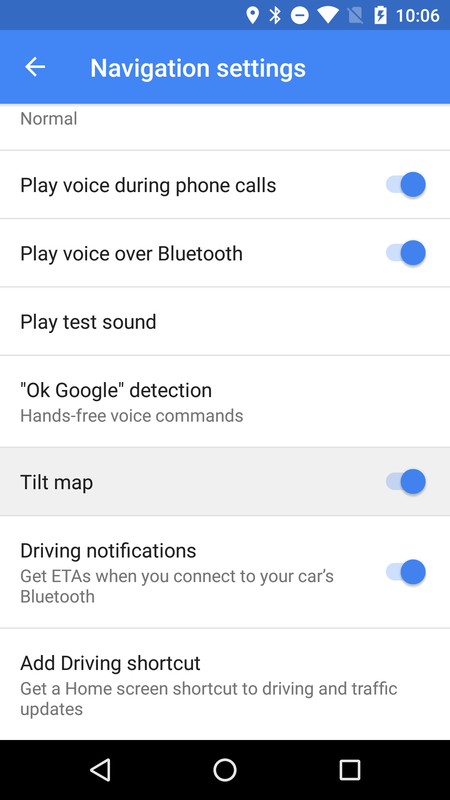 It can be tough to pinpoint when specific features go live, given Google's penchant for silently flipping switches and subsequent, months-later announcements. In this case, we know Maps has been prepping for near-route parking since early last year, and some time between then and now, (likely around the beginning of this year) that switch was flipped for at least some of us. So, in case you weren't aware, Maps can suggest spots to park while en route to your destination. The Maps team made quite a few people happy with the launch of a long-awaited location sharing feature that actually meets the rigorous expectations of even the most demanding users. However, around the same time that location sharing was added, v9.42 rolled out to some users and mysteriously removed the ability to save your parking location that was added only a couple of weeks ago. Version 9.50 just started rolling out this morning and it brings back the parking marker and associated features. Current Android standards have changed massively in the last few years, going from the days of no real design language in Gingerbread, to Holo in Ice Cream Sandwich, to material in Lollipop. It's startling, then, to see an app that has been languishing in the dark ages get a big update. 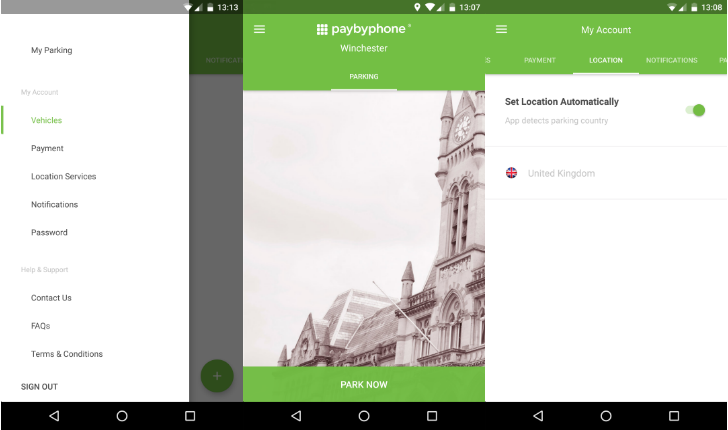 PayByPhone, a leading pay-with-phone parking app, has just been updated with a major redesign and Android Pay support, giving it a much needed boost into this era of app design. Google faces many interesting challenges with Android Auto. It seems like a simple task to build an interface that is less messy and more enjoyable than existing in-car systems. Given the low bar set by most existing platforms, this doesn't sound very difficult. 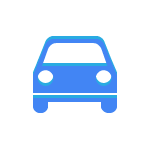 However, Google is taking advantage of more advanced technology and clever design so Auto isn't just another small iterative step forward. A teardown of the latest update shows some interesting progress on new input methods that don't require as much attention and a parking assistant feature that remembers where you left your vehicle. We've reported on several Google Now-related rumors recently. If our information is accurate, Google Now will soon be able to help you remember and pay for bills, automatically infer events from your communications, and serve you reminders depending on who is near you. Today, we've got another one. 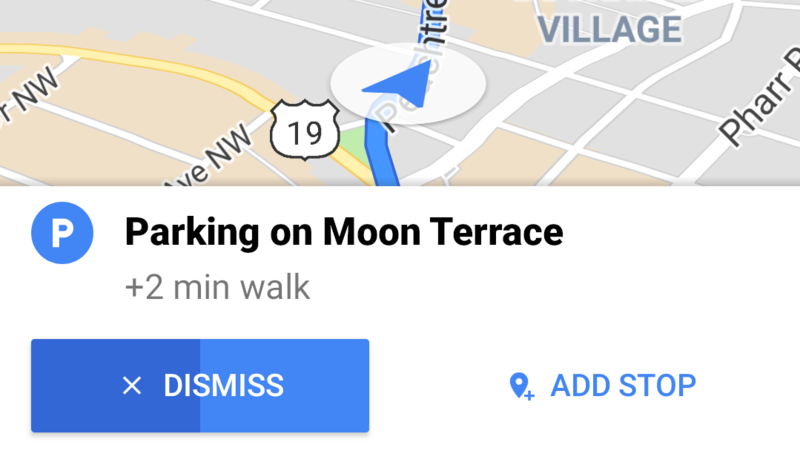 This time, Google wants to help you remember where you left your car.